This simple beautiful sign is engraved (v-carved) HDU with 24 K gold leat gilding. The smooth background was painted a very attractive shade of green. After painting the sign is clear-coated twice. 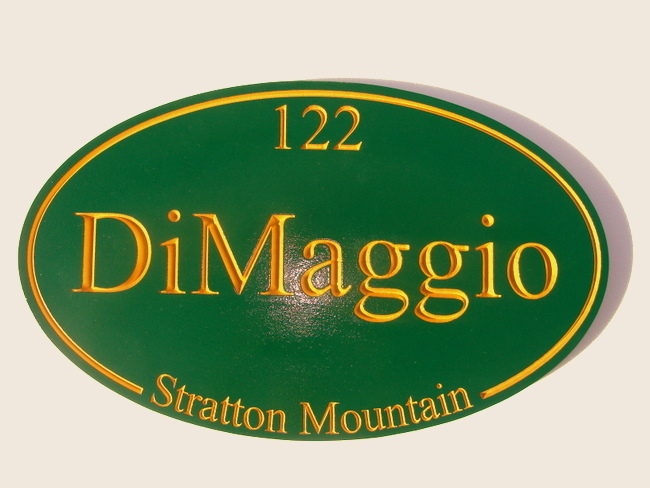 This sign can be mounted on a wall, a door, a gate, on a post, or hung from a wrought iron or wood hanger.